Mark Dutton’s shift to team manager is part of team principal Roland Dane’s long term strategy. 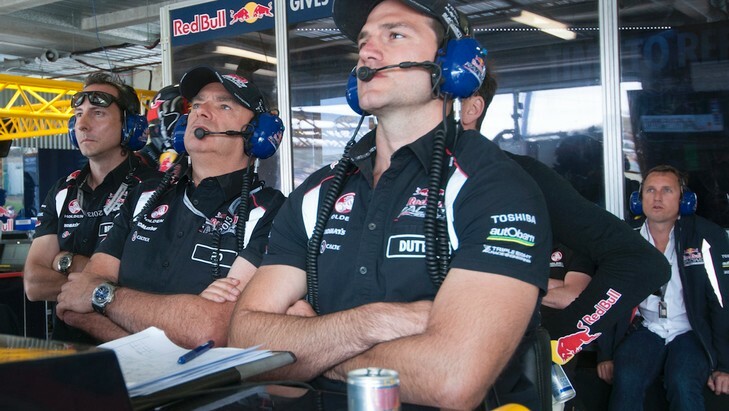 Red Bull Racing Australia has shocked V8 Supercars fans with the announcement Dutton would no longer engineer Jamie Whincup and the #1 Commodore, splitting the pairing that has won five Championships since 2007. But Dane said the promotion was something he and Dutton had discussed some time ago, and with the vacancy left by Adrian Burgess, the opportunity was there for the popular pit lane personality to step up. “It’s been my long term plan for quite a few years,” Dane told v8supercars.com.au. “Mark and I first discussed this a few years ago when he’d been ready to step up, it was just a question of the right doors to open and the opportunity for him to do it… It’s obviously a big thing for him, for Jamie and for the team – but nothing stays the same forever and he’s been engineering Jamie since 2007 so it’s a chance for him to do something new. Cauchi, who engineered Dean Fiore for the majority of 2013 and was RBRA’s central data engineer prior to that (the team’s structure has just one data engineer between two cars, currently John McGregor), will work with Whincup this season. While it will of course be a change for both, Dane would not have given Cauchi the role if he did not feel he was capable. “Jamie will hopefully get some motivation now from working with David Cauchi who he knows well, and who has grown up at Triple Eight as well. 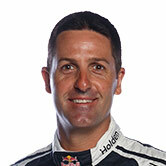 Whincup, meanwhile, is all for change and described the movements in the team as exciting. “I’m all for, if you do the same thing year in, year out, you’ll end up getting gobbled up by your opposition,” the 2013 Champion said. “This is a great change, one that I was all for and one we’d planned towards the end of last year. “Dutto – who does an unbelievably good job – has good people skills and I couldn’t be happier for him. He deserves it and to be able to step up and have more responsibility, and on the flip side earn a bit more money, I certainly don’t want to hold him back. Dane has before said sport is cyclical, and understands the need for his team members to grow and develop. “They’ve been here a long time – Mark and Jeromy since I first came here to Australia and set up Triple Eight – so I’m happy they’re not only still here but able to step up and take on different roles," Dane explained. This isn’t the first surprise announcement from RBRA, before Christmas dropping the bombshell that Steven Richards had defected from long-time team Ford Performance Racing to share a seat with Lowndes in the PIRTEK Enduro Cup. Tuesday’s was the second announcement of a race engineer moving to a central management position for 2014, with Nissan Motorsport appointing Scott Sinclair as General Manager, Racing Operations. Sinclair engineered James Courtney to his 2010 Championship, and performed the car manager role on Garth Tander’s car at Holden Racing Team in 2013.